A 'Best of Beauty' winner chosen by Allure editors for 12 years. 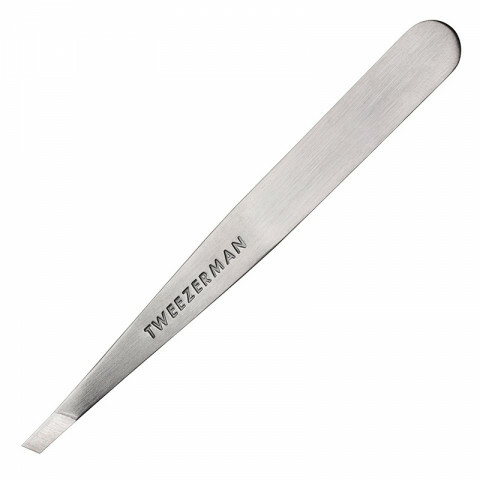 Top eyebrow artists always recommend our original, award-winning Slant Tweezer for expert brow shaping. The perfectly aligned, hand-filed tips are slanted to grab every hair, every time with the smoothest, true precision. Hand finished, perfectly aligned tips grab every hair, every time. I have 2 pairs of these slanted tweezers - one for my vanity and one in the bathroom. I bought the second set so that I wouldn't be without my tweezers when I sent back a pair to be sharpened. The free sharpening is a nice benefit and these tweezers can grab the finest hairs! own several different styles and like all of them. I also like that you can get them sharpened for free and just have to pay postage. The turn around is very quick. The slant Tweezermans are the best!! They are so efficient for grooming brows. I'm in love with them. I won't use anything else!